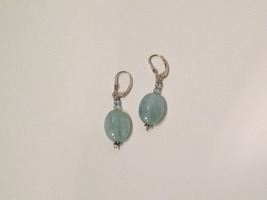 Gorgeous polished Aquamarine stones Crystal Earrings. Sterling Silver leverback hooks. Earrings measure 1 1/4" L Take a look at my stone necklace listings for the matching necklace! Aquamarine derives its name from ï¿sea waterï¿. 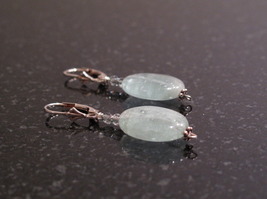 It is the blue-green or aqua variety of the mineral beryl. It is colored by trace amounts of iron that find their way into the crystal structure. 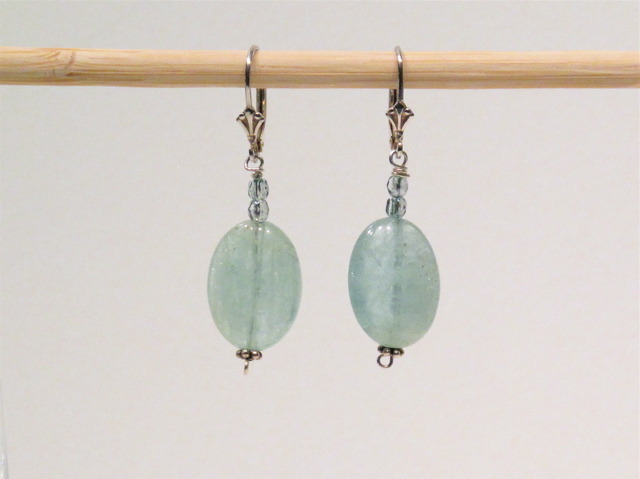 Aquamarine, known as a stone of courage, accelerates the intellectual reasoning process and makes one unconquerable through learning not only about the physical world, but about oneself. It also encourages the ability to always be prepared. 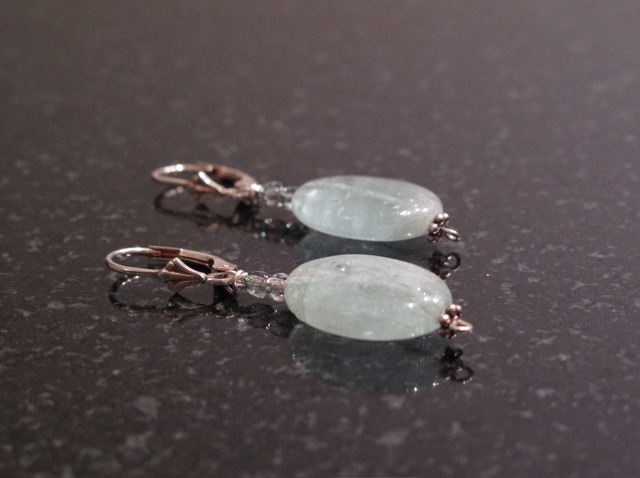 Aquamarine is also said to have a soothing influence on married couples. Its power to help husbands and wives work out their differences and ensure a long and happy marriage makes it a good anniversary gift. It is the birthstone for March.